This is the time to stop worrying over everything and anything and start believing in the promises of God for your life in all aspect. Worry will never add anything to your life rather, it will reduce you to nothing and increase your High Blood Pressure thereby putting your life at risk. 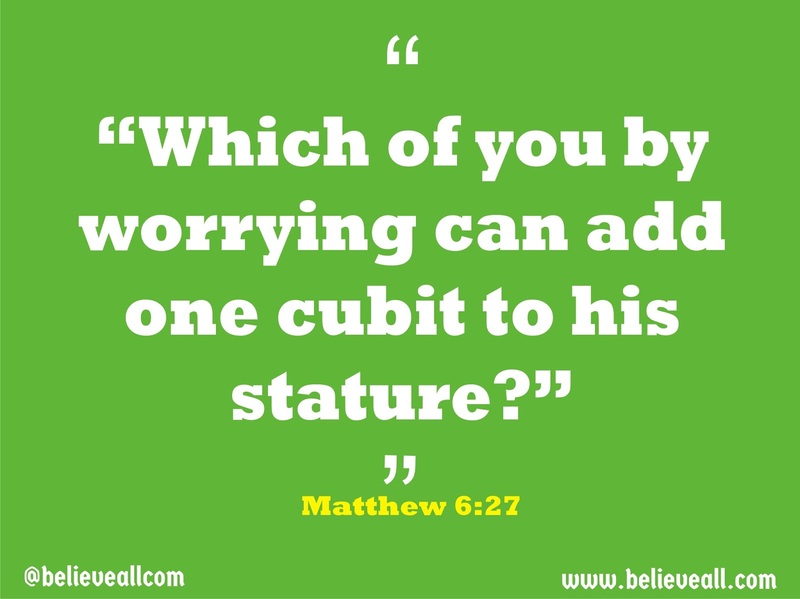 Today, my word for you is to stop worrying and start believing God and His words for you. Praise and pray rather than worrying.